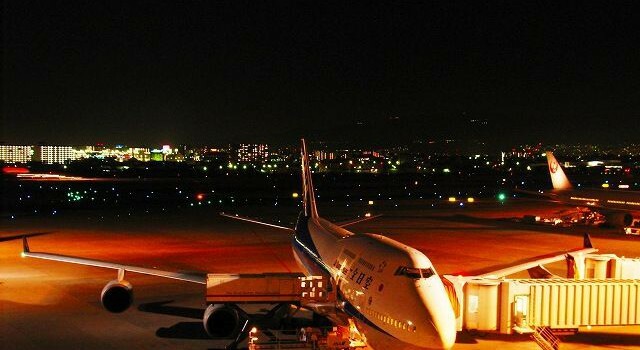 The night view of the apron area, Osaka-Itami Airport (in Japan). One night (several years ago) ,I took this picture at the observation deck. This aircraft, a Boeing 747-400 (ANA,NH,All Nippon Airways),are rare at this Airport.